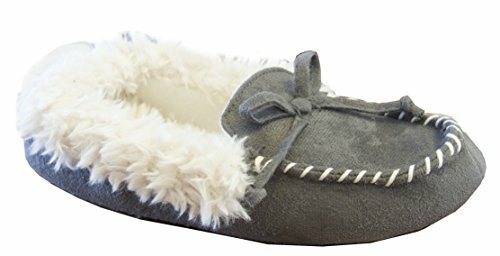 DURABILITY: Isotoner Women's Microsuede Hilary Fur Trimmed Moccasin is outfitted with a 1" slip resistant sole suitable for indoor or outdoor wear. 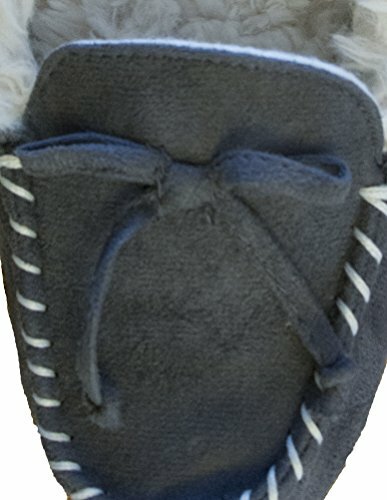 Throw on your mocassins for a quick walk to the mailbox or a stroll around the pool deck! DESIGN: The design details on the Isotoner Women's Zadie Slide make this slipper a complete fashion statement. 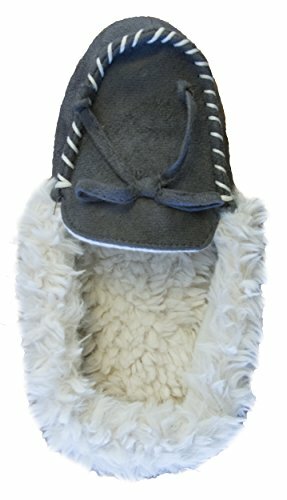 Haddie's microterry inner sole features a plush-soft microterry solid quilt patterned colored lining, while the outer hood of the slipper is detailed with beautiful clear stones for a bedazzled effect. This slipper makes a great addition to your summer essential wardrobe and is perfect for those who do not want their feet to overheat! COMFORT: Isotoner slippers provide extra thick memory foam for comfort and stability. Soft microterry lining for luxurious softness with every step. Heel-to-toe memory foam molds for a custom fit, and an extra cushy heel absorbs impact and supports your foot with every step. Lined with microterry fabric, sure to keep your warm. QUALITY GUARANTEE: Every Isotoner product should be of the highest quality. 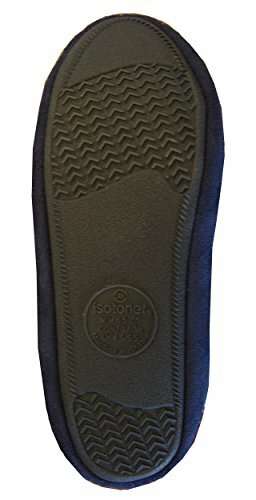 If this product proves to be defective in materials or workmanship within one year from date of purchase, Isotoner will replace it with a similar item. Shop Isotoner with peace of mind. CARE INSTRUCTIONS: Machine washable, cold water with like colors. No bleach, dry flat away from heat. Do not tumble dry, iron, or dry clean.